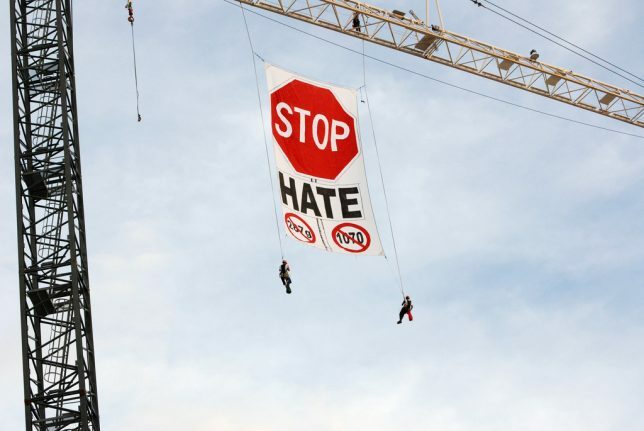 Summary: There is a quiet movement of well-funded organizations and individuals working industriously to build a trove of “evidence” to promote a narrative that “hate crimes” and so-called “hate incidents” are on the rise in America. This movement has gained traction in America in the wake of President Trump’s election in November 2016 and in England after the “Brexit” vote in June 2016. The groups seeking to promote the “hate crime is on the rise and it is Trump’s fault” narrative are gaining ground. One of the main funders of the movement is the Open Society Foundations, whose “Communities Against Hate” project is described as “an initiative of 11 prominent national organizations working together to address the disturbing spike in hate incidents across the United States.” The Communities Against Hate initiative funds 48 local organizations which are collecting data and working with “marginalized groups” to promote this narrative. Notably, the Southern Poverty Law Center (SPLC) is a “strategic advisor” of this initiative. For the first time to aggregate data on hate incidents, organizations representing a diverse set of impacted communities—including the Black, Latinx, LGBTQ, Muslim, Arab communities, as well as women—have come together as Communities Against Hate. This initiative will pull together traditionally disparate reporting of hate incidents and provide support for victims and communities. The pairing of services and documentation is unprecedented and especially critical in the current social climate. Anti-black hate incidents and crimes continue to play a daily role in the lives of black people in ways that threaten our safety and security. These hate incidents, often unreported or ignored by law enforcement agencies and major media—and now normalized by Trump’s administration—can surface in many forms: a racial slur spray painted on a community center wall; persistent, unchecked online harassment from an anonymous white nationalist troll; or during a violent, xenophobic encounter on a subway. Color of Change is proud to be a member of the Communities Against Hate initiative’s timely effort to push back against the normalization of this kind of deep-seated bigotry. Lesser known local organizations such as the Montana Human Rights Network, the Nebraska Appleseed Center for Law in the Public Interest, North Dakota’s High Plains Fair Housing Center, Progress Now New Mexico Education Fund, New York’s Flanbwayan (specific to Haitian immigrants in New York City), and YouthBuild USA, which focuses on training teachers in Boston tracking “hate incidents,” are all busily developing tracking and reporting systems for hate crimes. It’s critical that communities everywhere come together to respond to the increase in bigotry we’re seeing as those with hate in their hearts now seem to feel that they have a license to act on their worst instincts. . . . The launch of Communities Against Hate is an important step in that direction. During conversation with co-workers about Lunar New Year, a co-worker insisted that it’s Chinese New Year even when told that the holiday is celebrated by Vietnamese, Tibetan, Korean people, and more. A fight between four men occurred at a local tattoo parlor. Two of the men claim the fight broke out due to the tattoo parlor owner’s sexual orientation. In the conclusion of Weaponizing Hate, learn how hate crime hoaxes add to the problem created by hate crime counters. Renee Nal is an investigative journalist and documentary film producer. She is currently writing at Keywiki.org and TrevorLoudon.com. Featured Video: Are Hate Crimes on the Rise?